Inheritance tax tops £5 billion a year for the first time in history. 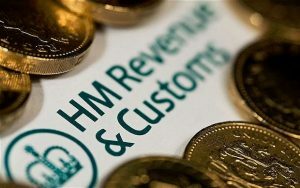 Most Brits still haven’t considered the impact of inheritance tax despite wanting to leave assets to their loved ones. Inheritance tax paid by British families topped £5bn a year for the first time in history. This is partly due to house prices increases in the last 10 years and stamp duty discouraging elderly people from downsizing. Separate projections produced by the Office for Budget Responsibility (OBR) also show that the number of estates on which IHT has been paid has more than quadrupled since 2010. This means many more of us are getting dragged into the IHT trap. What upsets people is that their wealth is being taxed twice. Inheritance tax is paid on the portion of the deceased estate worth over £325,000 but Surviving spouses can inherit their partner’s allowance. The new Residence Nil Rate Band (RNRB), introduced in April 2017, allows an additional £100,000, rising to £175,000 by 2020, per person but, as discussed in my previous blog, it clearly seems to discriminate against couples without children, unmarried couples and those who don’t own their own home. You may want to pass a bigger share of your estate to your children or grandchildren before paying Inheritance tax but if you pass your home to them through a standard Will or intestacy this may not be the case. I encourage you to still seek professional advice when it comes to inheritance tax despite the introduction of the new residential nil-rate band. If you keep your head in the sand you may as well include a cheque to the taxman when you come to write your will.